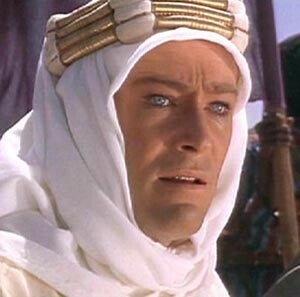 In light of my trip to Morocco, I just rewatched Lawrence of Arabia. It is an extremely well-made movie and with good reason remains in the top 10 movies of all time. 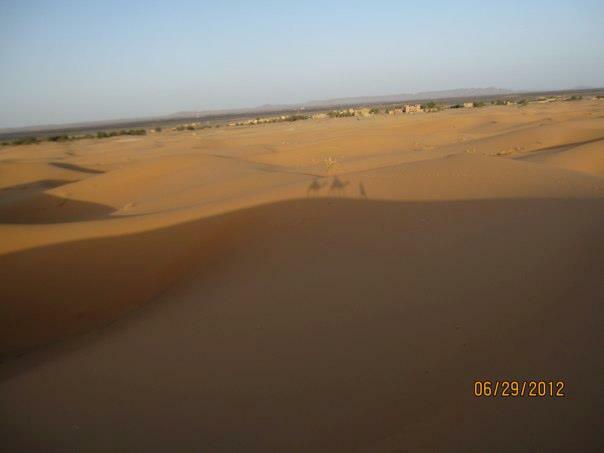 It was an exhilarating feeling watching them ride camels over the same dunes we did and fun to revisit the locations, including Ouarzazate and Merzouga. If you know anything about filmmaking, especially if you’ve worked in production, you know how difficult that shoot must have been (even without the problem of beginning the shoot with an unfinished script!). David Lean was a master. Last week, 70 people were shot in a movie theater in Aurora, CO and (so far) 12 fatally. There’s a lot of speculation flying around including the role of movie violence. I am not here to debate that, but I did take note of the way David Lean handled violence in Lawrence of Arabia. Almost all of it happens off screen and it is more powerful for it. It’s an approach for an audience with a conscience. We now have a chicken and egg situation: has a deadened conscience led to a demand for graphic, bloody violence with screamingly loud soundtracks or has the increasingly graphic depiction affected us? It’s likely not either/or but both/and. Both things are probably true or partly so. I’m not much for censorship, but I am in favor of self-censorship and a sense of responsibility for the creative person (or studio). It is self-indulgent and lazy to show everything. There is art in concealment, in the placement of the camera. There’s another aspect of violence in the movie that ties into today’s international terrorism. Another Lawrence, Lawrence Wright states in his book on 9/11, The Looming Tower, that much of the current unrest in the Mid-East began in 1916 with the secret Sykes-Picot Agreement where France and Britain divvied up the Arab lands for themselves. While there are issues with some of the historical accuracy of the movie, this is shown and the character of T.E. Lawrence understands its implications. Again, Lean has “placed his camera” – not physically this time – but to give the audience an overview of the major interests in one scene that gathers French, British, and Arab representatives in one room with Lawrence. It’s one reason why the movie works on multiple levels. David Mamet said, “All art is where you put the camera.” David Lean understood that as well as any director who’s ever made a movie. Julian Barnes uses it to great effect in The Sense of An Ending (2011 Man Booker Prize). The question is, do you understand that in your writing? Where will you “place your camera”? What will you show and what will you let your reader discern?